It was bleeped out, but a fan may have uncovered what Ruffalo said using audio-editing software. While it’s unlikely that Ruffalo actually revealed the title, it wouldn’t be the first time he’s slipped up, and that title makes thematic sense. Spider-Man actor Tom Holland is known for being the Marvel Cinematic Universe’s most notorious spoiler, but Mark Ruffalo, who plays Bruce Banner/Hulk, is giving him a run for his money. During Friday’s “The Tonight Show starring Jimmy Fallon,” Ruffalo may have revealed the title of next year’s “Avengers: Infinity War” sequel. The fourth “Avengers” film’s title has been shrouded in secrecy, but Fallon convinced Ruffalo to spill the beans – or did he? 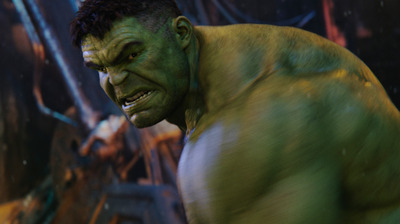 The potential title was bleeped out on air, so it’s unknown whether Ruffalo actually said the title, or if it was simply a pre-planned bit all in good fun. Considering how secretive the production has been, it’s probably the latter. But if what Ruffalo said actually was the movie’s title, a fan may have uncovered it through audio-editing software. Captain America actor Chris Evans also appears to be leaving the franchise after “Avengers 4,” and tweeted a heartfelt farewell to the character last week after he wrapped filming on the movie. “Captain America: The First Avenger” was Evans’ debut as the character in 2011, so “Avengers 4” being called “The Last Avenger” would bring his storyline full circle. It still seems unlikely though that Ruffalo would reveal the title, but he’s slipped up before. During an interview nearly a year before the movie came out, Ruffalo revealed that “everybody dies,” which is half-true. Ruffalo chimed in on the debate on Tuesday, tweeting that the title is “Avengers 4: Register to Vote” in response to a fan. “Avengers 4” comes to theatres May 3, 2019.